Beginning July 19th, 2017 the Wednesday Market will be open from 4 – 6 pm. The new hours are an attempt to increase vendor participation and bring more customers in to the mid-week market. The Wednesday market will be open through September. 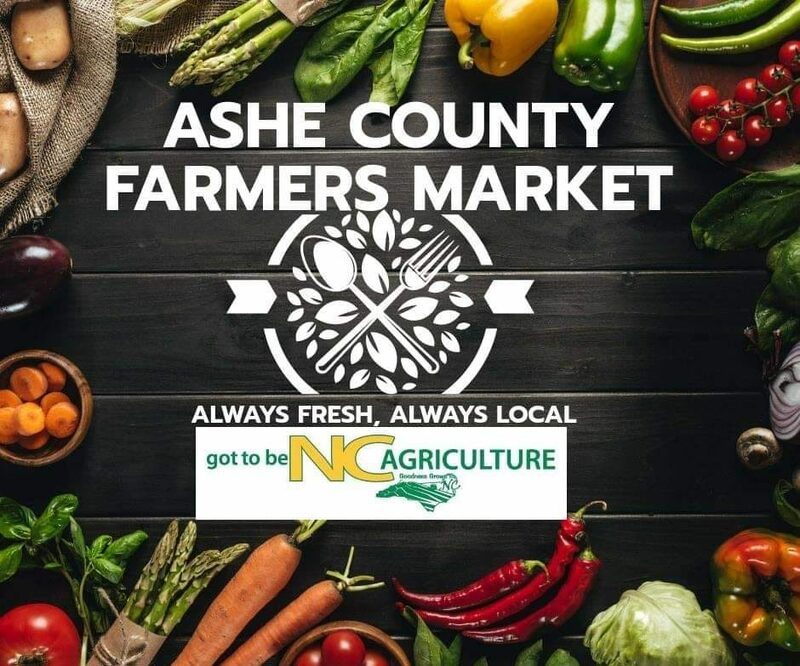 The 2017 Market Expo and Seed Swap is Saturday, March 4, 2017 from 8:30 am until 1:30 pm at Family Central located at 626 Ashe Central School Road in Ashe County. Returning vendors must attend to reclaim their space and pay 2017 vendor dues. New vendors may also complete vendor applications at this event. More information will be posted closer to the March event. 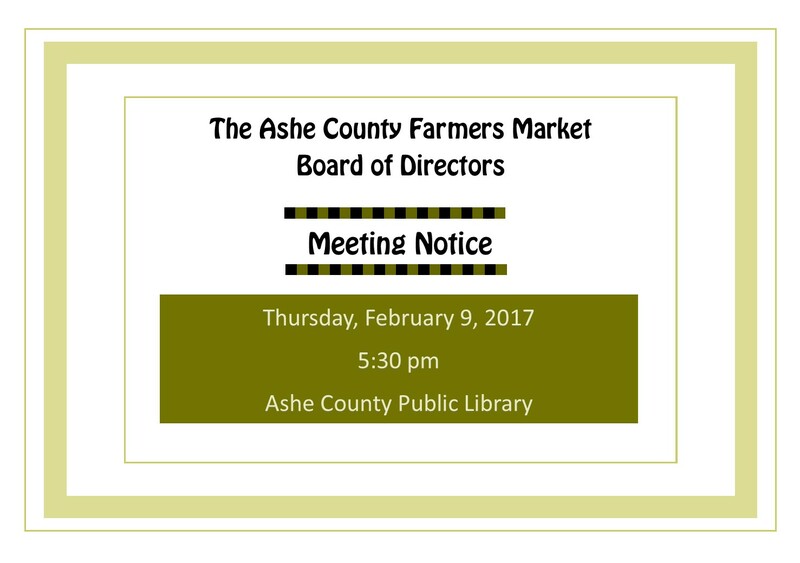 Our Craft Jury Date is Wednesday, February 22, 2017 at the Ashe County Cooperative Extension Office located at 134 Government Circle in Jefferson. Crafts must be dropped off between 8 am and 9:30 am for consideration. All new craft vendors interested in joining the market must have their crafts juried as a first step in the application process. In order to maintain the desired product mix and to ensure the market remains focused on produce, the Market Board of Directors has the final decision as to whether a new vendor may join. For more information on our policies please refer to our Policies and Procedures under Vendor Forms. In the event of bad weather, the snow date is Monday, February 27, 2017. 2017 Opening Day is April 15, 2017.